Beneath Rome, archaeologists have discovered at least 40 burial chambers used by early Christians beginning in the 2nd century. These rock-cut corridors have been estimated at more than 150 miles of total length. The most popular areas are St. Calixius, St. Sebastian and St. Domitilla. During times of persecution the area also served as a place of hiding and worship for Christians. The catacombs are extremely important in the history of early Christian art as they contain the great majority of examples (including Bible scenes) from before 400 AD in fresco, sculpture and gold glass medallions. Named after the colossal statue of Nero, this immense amphitheater was begun by Vespasian in 72 AD to commemorate his victory in Jerusalem and completed during the reign of his son Titus in 80 AD. It seated up to 80,000 to attend events such as Classical mythology dramas, executions, gladiator fights, naval battles and wild animal hunts. Christians generally regard the Colosseum as a site of martyrdom for a large number of believers during the Roman Empire persecution. 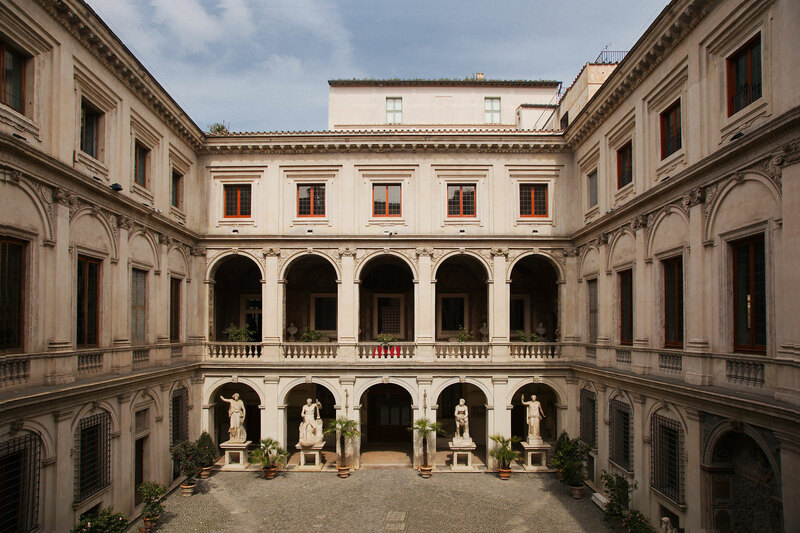 This museum, possessing one of the world's most important archaeological collections, is housed in three different facilities: Baths of Diocletian (including Octagonal Hall), Palazzo Massimo and Palazzo Altemps. Important exhibitions are: decorations on the Temple of Aurelian; the "Michelangelo" cloister; the Lyceum Apollo and the Aphrodite of Cyrene; bath complex displays, including the Anadyomene Aphrodite, the Heracles, the Lance-Bearer and the Cnidian Aphrodite; the statue of Augustus; the pictorial frieze of the noble sepulcher from the Esquiline hill; the decorations used on imperial villas and aristocratic residences; the Discus Thrower by Myron; the oval-shaped sarcophagus from Acilia; the medallion of Theodoric; and a rich selection of coins, gems and jewels. The museum is like a walk through a 1,000-year history. This ancient temple, commissioned by Marcus Agrippa in 27 BC and dedicated to the Julia family, is the only classical monument still intact. It is one of the best preserved of all ancient Roman buildings, in large part because it has been in continuous use throughout its history. 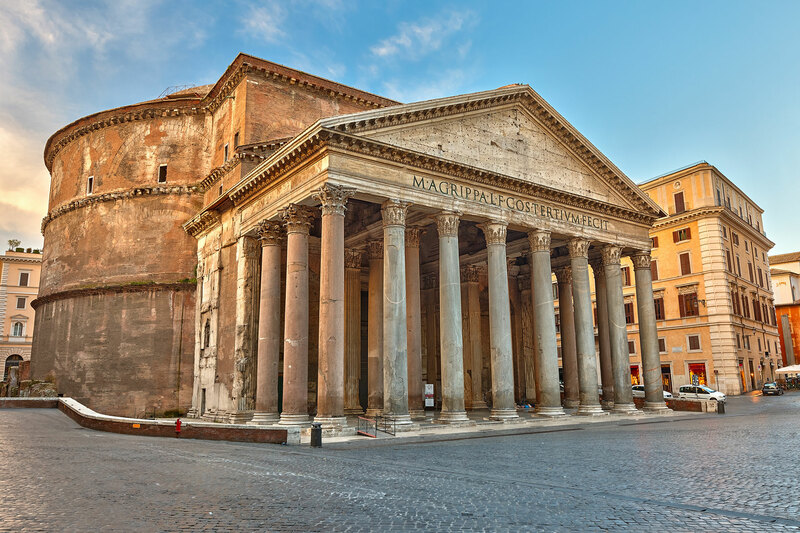 Since the 7th century the Pantheon has been a church dedicated to "St. Mary and the Martyrs." The monument contains the tombs of Raphael and the first two kings of united Italy. The square in front of the Pantheon is called Piazza della Rotonda. The ancient city Pompeii (Pompei), whose ruins are a UNESCO World Heritage Site, was buried by the 79 AD eruption of Mount Vesuvius. Ruins include the frescoed Villa of the Mysteries and the city's amphitheater. 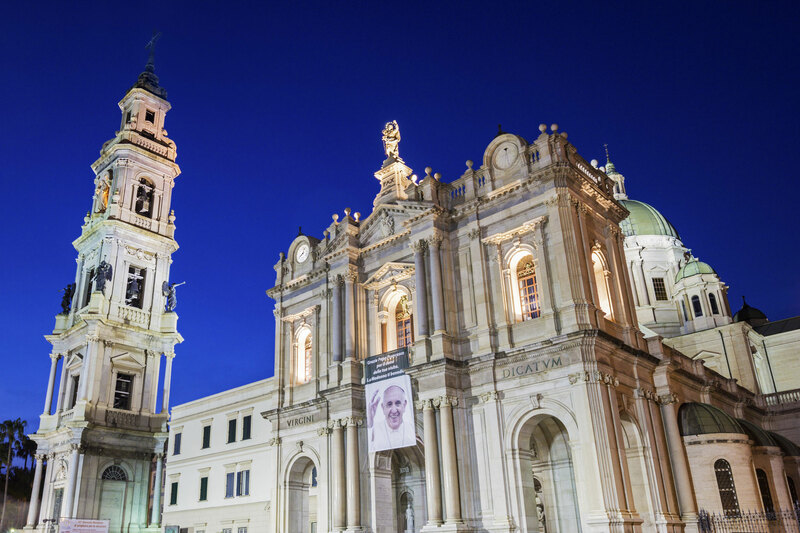 In town, the Shrine of Our Lady of Pompei, dedicated to Our Lady of the Rosary, has become a site for Catholic pilgrimages. A convert, who experienced a divine grace from Blessed Virgin Mary, founded it in 1891. The Rosary is a devotion associated with great graces for anyone who faithfully prays it. The ex-votos that cover the walls of the church are an impressive testimonial of the miracles granted from Blessed Virgin Mary. 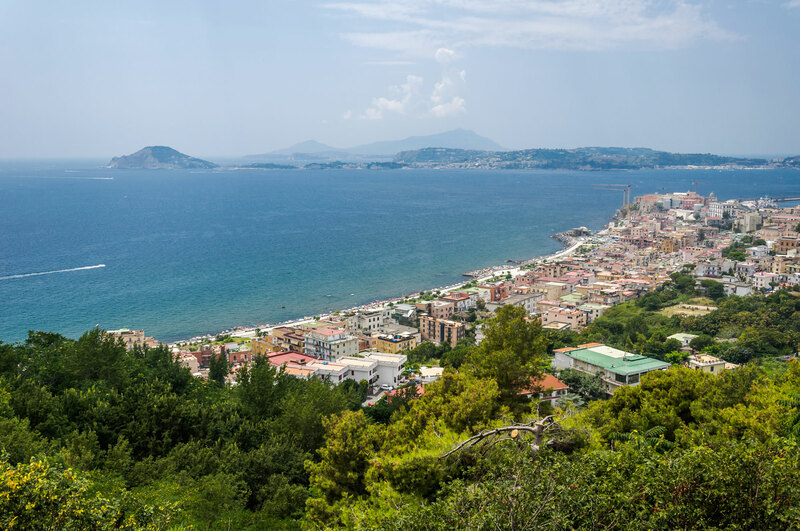 Located on the Bay of Naples north of Pompeii, Puteoli (modern Pozzuoli) means “little wells” in Latin and was established as a Samian Colony from Cumae in the 6th century BC. On his journey to Rome, Paul landed here and found fellow believers in Jesus. Some scholars accept the recent find of the Byzantine period chapel in Herculaneum a likely marker for the home of Paul’s visit. Other excavations in the area include a well-preserved Flavian amphitheater. Italy’s capital is a sprawling, cosmopolitan city with nearly 3,000 years of globally influential art, architecture and culture on display. St. Peter and St. Paul were martyred here. 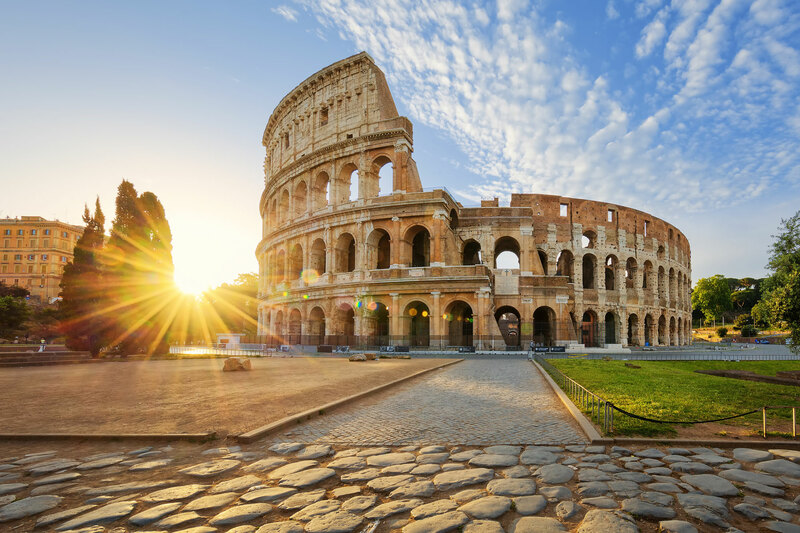 Ancient ruins such as the Forum and the Colosseum evoke the power of the Roman Empire. 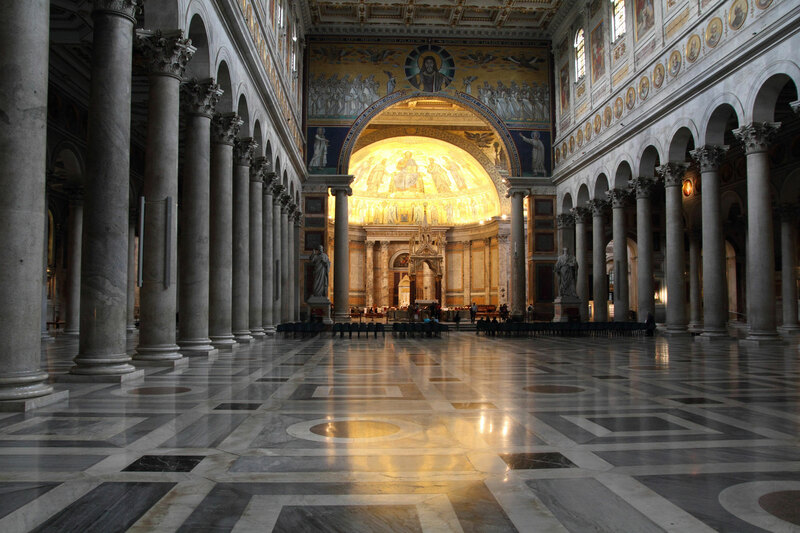 Despite being home to Vatican City and St. Peter's Basilica (site of St. Peter’s Tomb), Rome's cathedral is the Archbasilica of St. John Lateran. Apart from the cathedral there are about 900 churches in Rome including: Basilica di Santa Maria Maggiore, Basilica of Saint Paul Outside the Walls (site of St. Paul’s tomb), Basilica di San Clemente, San Carlo alle Quattro Fontane and the Church of the Gesù. 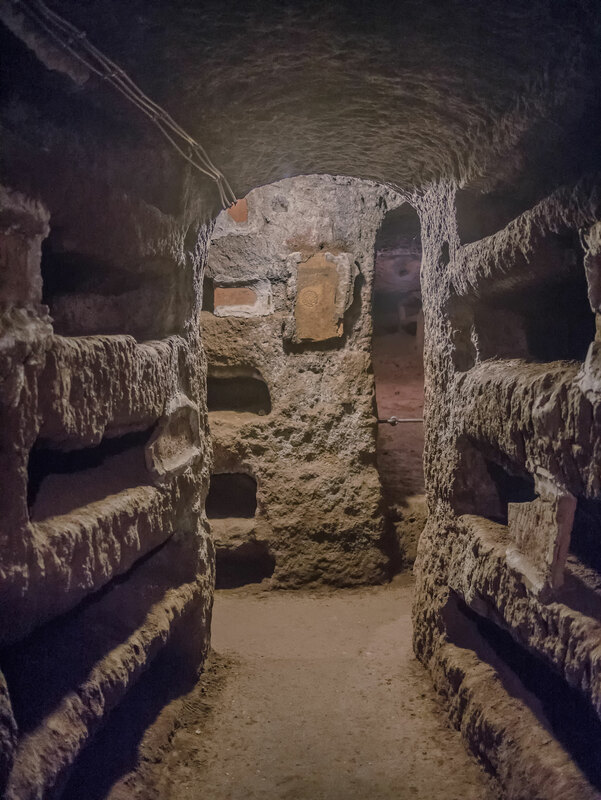 The ancient Catacombs of Rome lie underneath the city. This is by far the most imposing church in Christendom, covering six acres, holding 95,000 worshipers and sitting atop the traditional tomb of St. Peter. A number of architects have left their mark on the Basilica, the most notable being Bramante (master plan), Michelangelo (huge dome, largest anywhere) and Bernini (altar and interior decoration). Important features include: the 15th century bronze, central doors; Giotto’s mosaic, “Jesus Walking On The Water;” Bernini’s “baldacchino” (seven-story bronze canopy); and Michaelangelo’s “Pieta.” The grottos underneath the cathedral are the resting place of many popes and important church figures. St. Peter's Square is a large plaza located directly in front of St. Peter's Basilica. Bernini designed the large square (240 meters by 340 meters) and the surrounding colonnade and 140 statues of Saints. In the center stands a 25-meter obelisk topped by a cross and rumored to contain a relic from Helena’s cross. 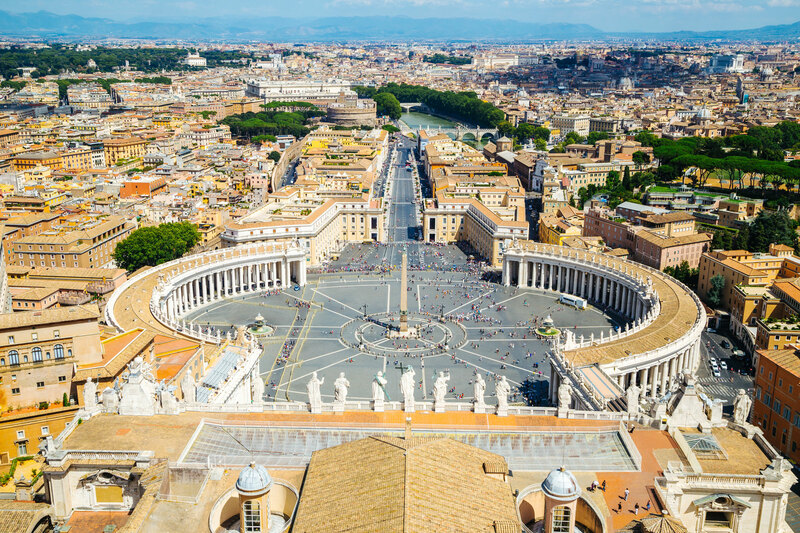 The spiritual center of Catholicism, Vatican City has been the residence of the popes since 1377 when the Pontifical Court returned from Avignon, France. Nearly 270 Popes have sat on the throne of St. Peter. 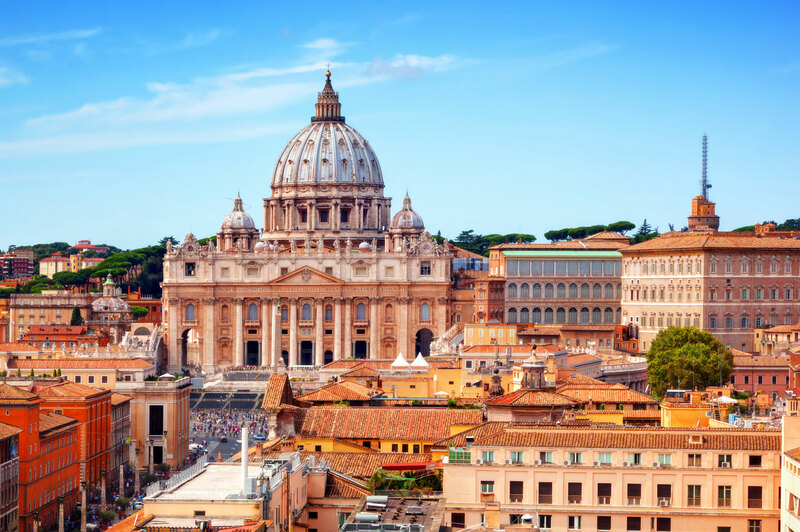 Vatican City is an independent state of about 100 acres ruled by the Pope. 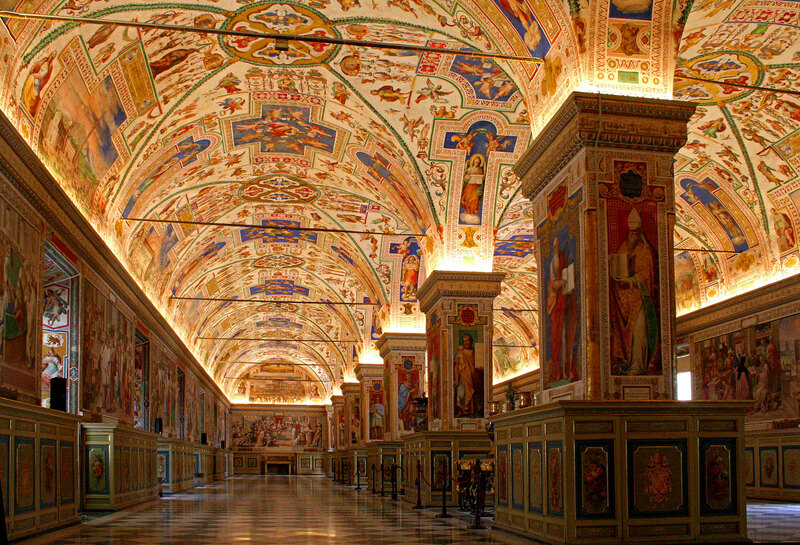 Important features of the Palace are: the Papal Apartments (not open to the public); various offices of the Catholic Church and the Holy See; private and public chapels; Vatican Museums displaying the Gregorian collection of pagan Greco-Roman art; the Vatican Library (works of da Vinci, Raphael and many others); Raphael Rooms “Stanza and Loggia” (covered with frescoes); the Sistine Chapel, famous for Michelangelo’s ceiling and “The Last Judgment;” and Borgia Apartment.